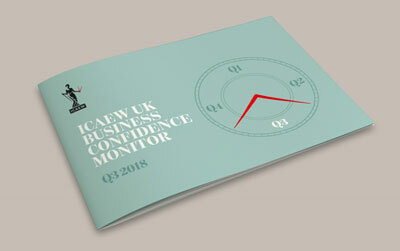 The latest ICAEW Business Confidence Monitor (BCM) shows business confidence falling into negative territory in Q3, reflecting global trade disputes, Brexit divisions, slower domestic sales growth and concerns about increased regulations. 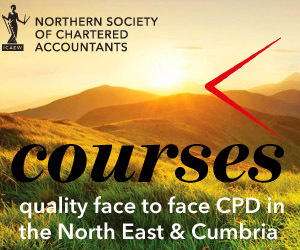 Confidence falls to – 0.2, reversing the trend of the last 12 months, and highlighting the lack of certainty for businesses in many sectors and regions across the UK. Input price inflation remains high, which can explain a surge in selling prices – rising at their fastest rate since Q4 2008. Domestic sales growth is slowing, outpaced by the expansion in export growth for the first time since Q1 2017. Capital investment expectations are subdued, with Research & Development and Staff Development budgets growth also weakening. Businesses are hiring at a marginally slower rate than in previous quarters, but without any significant upward pressure on wages. Regulatory requirements continue to dominate the list of rising challenges with 58% of businesses citing them as a bigger challenge than 12 months ago. Confidence was positive in all parts of the UK in Q2 2018 but has returned to negative territory in 6 out of 11 nations and regions. London is one of those. 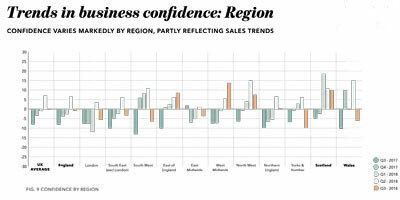 Of the five parts of the country where confidence remains positive, West Midlands businesses are the most optimistic with the region’s Index standing at +13.6. Scotland too is firmly positive (+9.9) reflecting the fastest rate of total sales volumes growth of anywhere (5.3% in the year to Q3 2018). The East of England and North West have shown consistent rises in confidence in recent quarters, and they are experiencing the fastest rates of domestic sales growth, at 4.7% and 4.5% respectively. The confidence of London businesses has returned to negative territory, at -5.7 in Q3 2018. One explanation is a slowdown in domestic sales, which in the capital are up just 2.9%, below the national average of 3.5%. London businesses are also likely to be very conscious of the potential impact of Brexit, particularly if any deal with the EU excludes the service sector, as seems likely. In addition, the financial sector is most troubled by rising regulations, and is of course centred on London, while property market weakness is particularly apparent in the capital. 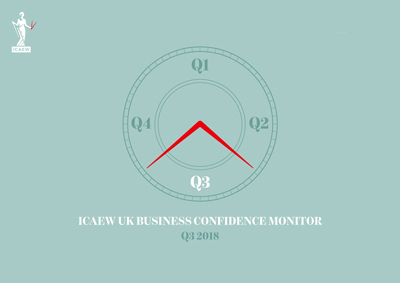 Q3 2018 ICAEW Business Confidence Monitor – download the report HERE. The events are both free of charge but pre-booking is required.